Black HornBack Alligator Head with Black quality leather shaft. Height 13", pointed or round toe and 1 ¾" walking heel. Every boot is handmade with over 200 individual processes required to complete each pair. The balance of the boot is all leather, soles, insoles and leather lined. 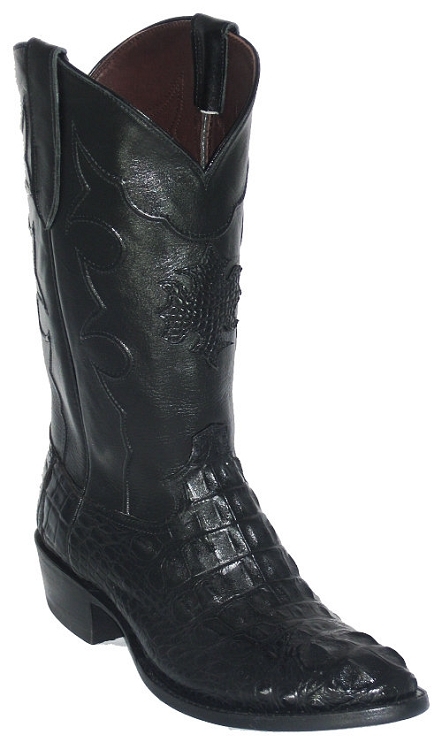 This is a top quality "real" Alligator boot at Internet direct savings.